Arlington Machinery sells many different dehumidifying dryers typically from 5-10,000 pounds per hour. 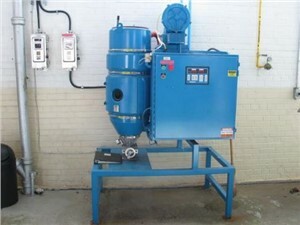 Desiccant dryers are the most common and use desiccant beds to dry the air. Although dryers for plastics all do the simple task of heating the plastic to release surface moister, different types each have their own advantages. Facilities may choose to have either a large central dryer that dries resin for many different processes or to have many independent press-side dryers that will are dedicated for a specific process. Size is the main driving force in choosing which type of dryer to purchase. Dryers can be separated into a few main categories that will commonly be seen on our website. These machines are typically hopper mounted directly over the press or extruder. They typically can handle 100lbs/hr or less. They are easy to use, easy to maintain and economical. However, this is the least efficient way to dry plastic resin. To achieve -40 dew point most brands will require a membrane. 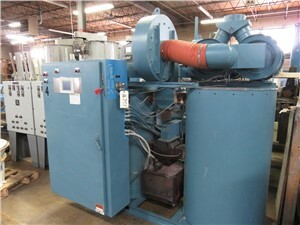 Carousel/ Dual Bed Dryers are very common on the used market. 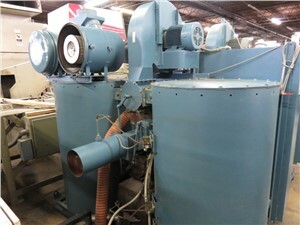 These machines can be used beside the press or used in a central drying system for an entire plant. They range in size from 15 CFM up to 5000 CFM. They use a rotating carousal or “tower switching” to regenerate desiccant. Dew points of -40 are common threshold for these dryers. There are many on the used market and can be acquired for relatively low upfront cost when purchased from a dealer. A Wheel Dryer is a newer improved version of the carousel dryer. Wheel machines are more consistent and use less energy because of the properties of desiccant used and the constant movement of the wheel. Typically these newer dryers are equipment with VFD’s on the regeneration blower and the wheel to maximize energy savings. Vacuum Dryers are a little different then the above machines. 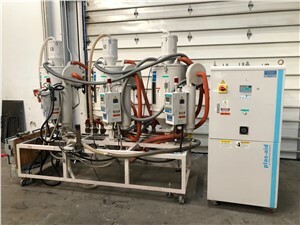 These dryers hold the resin in a sealed vessel that is heated and put under strong vacuum to draw the moisture away. Then resin is discharged in a batches. Vacuume dryers are very energy efficient and fast. These machines are not found regularly on the used market and can have a higher upfront cost. PET and Crystallizers information can be found on the Crystallizer page on Arlington Machinery’s website.